Help! I purchased a pattern and can’t find the download. All PDF files purchased are automatically emailed to the email address entered at purchase. Please check your junk mail folder if you did not receive an email. At the end of checkout you will be directed to a receipt page with download link(s) as well. If you need to re-download/download your purchased pattern please login at the ‘My Account‘ page (‘my account’ area not available to those who purchased items using Guest Checkout). Please note that there is a download limit of 9 times per pattern (each time you click the link it counts as a download). Links do expire 1 year after purchase (only for purchases prior to June 2018). Be sure to download the file to your computer for future use. If you had purchased patterns before August 2014 please email me with the receipt or transaction number and I will resend the pattern. Still can’t find your download? No worries, just email me! I will get you your files. How do I print my digital file? Please use Adobe Reader (it’s a free program available to download here) to print your file. Open the file from your saved location on your computer using Adobe Reader. Opening the file in your browser might render the file incorrectly! It is important that your file prints at 100% (no scaling). Be sure to check the test print square on the first pattern page before beginning. I have a question about one of your patterns, who should I contact? I’m happy to help! Please send me an email indicating what pattern you’re working on, the more concise you can be, the better I’ll be able to help. I try my best to get back to questions within 24-48 hours. The Noodlehead Sewing Patterns facebook group is also a great place to ask questions. There are many members worldwide who’ve sewn the pattern you’re working on. Are your patterns available in languages other than English? My patterns are only available in English at this time. I’m sewing a project from your book, is there any additional info I need to know or places I can share my creations? Handmade Style book purchasers, please visit my ‘Errata‘ page for updates. Please join along in the Noodlehead Sewing Patterns facebook group, where you’ll find a great place to chat sewing or ask questions. You may find this page helpful, I update it frequently! It contains info about my book, links to more projects I’ve made, and helpful supply and tutorial resources. I love to see what you’re making! Please add them to the flickr group or use the hashtags #HandmadeStyleBook or #noodleheadpatterns (or # the specific pattern name) on social media. Looking for leather handles? You can find leather handles in my shop! I have various lengths, and colors in both 1″-wide and 3/4″-wide. I’m a quilt shop owner, do you offer your patterns wholesale? If you are a shop owner and are interested in carrying my paper patterns please fill out the form on my wholesale page. Thank you and I look forward to working with you! I’m a quilt shop owner or sewing instructor, can I use your patterns to teach classes? Yes! My paper patterns are perfect for use in a classroom setting. 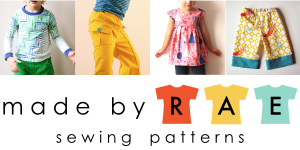 All you need to do is purchase a pattern for each student participating in each class. Paper patterns are available in my wholesale shop (see above question for how to access the wholesale shop) or check with your current distributor. Can I sell items made using your tutorials/patterns/book? Yes, you can sell finished items using my tutorials/patterns/and book projects (all except the projects I designed for Robert Kaufman fabrics – cargo duffle, trail tote, manicure wallet, gatherer crossbody bag, tiny treasures basket/tray, Forage Bag). If you do make an item to sell, giving design credit to me or referring to my website would be great (thank you!!!! ), but is not required. I don’t sew, do you sell any finished items? I’m sorry at this time I do not. Perhaps you know a friend that knows how to sew? Or check Etsy, I allow those who purchase my patterns to sell them items they make.